Why do we need to do something about it? Our food wastage could have been used as food relief for the 2 million people across Australia who rely on charities or community support.What about the effect of food wastage on the environment? When food is thrown in the garbage and transported to landfill, the rotting food mixes with other organics to form methane gas. Methane gas is 25 times more potent than the carbon pollution that comes out of car exhausts. This will in turn, affect our crops and the growing of fresh food. There are also the hidden costs to society. When throwing out food, you are wasting the water, fuel, resources it took to produce and transport that food from paddock or factory to plate. Spade & Barrow have developed a holistic approach to their operations by advocating a direct plough approach which ensures that farmers are able to harvest their entire crop – irrespective of size and shape. Farmers are renumerated with a fair price for their whole crop, helping them to stay on their land and reduce unnecessary waste. Yume Wholesale encourages suppliers such as food distributors, producers and manufacturers to list their surplus sale for discounted sale or donation on Yume Wholesale. It means buyers such as cafes and restaurants can potentially snap up a bargain while helping the environment. Sydney Markets, Flemington in Sydney’s west is taking its waste fruit and vegetables to the Earthpower waste-to-energy plant to pipe the methane gas that is generated from the waste into cogeneration engines to produce energy for the grid. Even the leftovers from the process is dried and pelletised into organic fertiliser. Odd N Ugly Supermarkets and green grocers are now stocking a range of imperfect produce – Harris Farm Markets ‘Imperfect Picks’ and Woolworths ‘The Odd Bunch’ range. In the past, this produce would have been rejected by the retailers and turned to food waste. Why do consumers waste so much food at home? Research has shown that consumers wasting food is not a conscious decision, it is rather a consequence of food shopping, preparation, cooking and eating built around an individuals’ habits and rituals with food. It is also based on their perceived risk of real and assumed food safety risks.The reasons for food wastage varies between consumers and is related to consumers upbringing (for example, if someone had experienced food shortage during World War II), social and cultural backgrounds and their education on food. 1. Buying too much food – this involves several factors including not planning meals, shopping without a list, shopping whilst hungry or in a hurry, marketing tactics of supermarkets (buy 2 for the price of 1) and the general low price of food. 2. Cooking too much food – people would rather cook more than not have enough to plate, and leftovers are not being eaten. 3. Incorrect handling and storage of food – generally from a lack of knowledge and know-how in the storage and cooking of food. 4. Confusion over date labelling – consumers’ confusion about and misinterpretation of the date labelling read on perishable products. Research has shown an interesting development with consumers. It has found that the environmental impact of the food production stage and consumer and business food waste is of greater concern to consumers than the additional resources needed for packaging. However, there is more awareness around the amount of packaging that businesses use to protect and market their product.Consumers need assistance with managing their food consumption, purchasing, and cooking and handling of their food, and are looking for ways that the producer and manufacturer can help reduce their food waste. They want packaging that is seen to help with the war on food waste, and can favourably improve the sustainability of the food chain. From a food producer level, innovative and smart packaging can now help your consumers at home keep their food fresher for longer and thus in turn reduce their food wastage. Resealable lidding film sealed on a tray, allows consumers to open the packaging, remove a portion of the product and reseal the lid for future use. Food stays fresher for longer because it is sealed properly and eliminates the need for the consumer to store the unused portion in another container or bag. This packaging also helps consumers who do not know how to correctly stored unused food. This type of packaging is great for food products that have a short shelf life. For example, small goods such as ham, bacon and salami where consumers generally do not consume the whole package in one serving. The resealable lid is easy to use and ensures the product remains hygienic and fresh for the next use, reducing the likelihood of food waste from incorrect storage or food contamination. Fresh fruit or vegetables, in particular, berries, tomatoes and nuts, is another great product suited to the resealable lid. Consumers can remove or eat a portion from the packaging and easily replace the lid for storage in the refrigerator sealed until the next use. This addresses consumer concerns of buying too much, as the food can be stored properly for later use. The resealable snack bag allows consumers to simply peel from the easy lift tab on the face of the pack without damaging the product, to leave a large opening with easy access to the contents regardless of the quantity left in the bag. Not only does it make it easy for consumers to open the bag and reclose it for storage, the product will be kept fresh and crispy for next use. It addresses the problem of consumers not storing their leftovers food products properly as the bag can be resealed to maintain freshness. The resealable snack bag reduces food wastage and the need to find an alternative way to store the uneaten product. Portion trays allows your consumer to open and use only a portion of the product. No need for them to open the whole packet and store any leftovers in another container. This type of packaging helps consumers to reduce their food waste, as unused portions remain properly sealed for the next use. It is perfect for the snack pack market, and taps into the on-the-go convenience food for busy consumers. It reduces food wastage as each serve is individually wrapped and unused portions remain sealed until use. Portion trays feature a laser-perforated lid that allows consumers to snap off one pack, peel back the lid and use. The Walls snack pack of sausage rolls, can be packed in the handbag or lunch box, the inner tray of the snack pack allows consumers to break away a single portion and keep the remaining portions refrigerated and sealed for later – and fresher for longer. Want to know more about fighting the war on food waste? 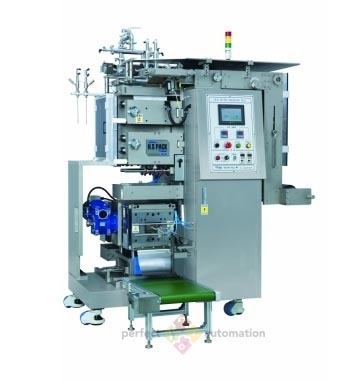 There are lots of packaging solutions at Perfect Automation. Talk to us today on (02) 8882 9612, to see how innovative and new packaging for your food product can help your consumers reduce their food waste in the home. Next Next post: Sustainable packaging is here!